Lack of talent. That's what many people will say is the reason for the lack of women in STEM fields. But it's more than that. It's true that less than 20 percent of the bachelor's degrees in computer science go to women, according to federal statistics. And while a number of groups exist that are actively trying to attract females to STEM fields, from coding classes for girls to networking groups for women, retaining women in STEM fields may actually be its biggest problem. One of the difficulties with keeping women in technology is that there are few female mentors for them to look to. Why is that? Well, the numbers will tell you. 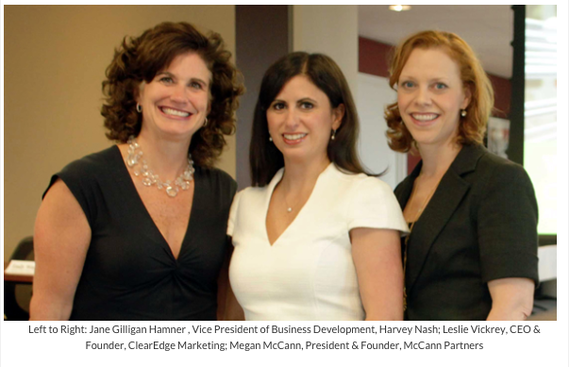 Only eight percent of CIOs in the U.S. are women, according to the latest Harvey Nash survey. Without women to look to at the top, many women in STEM fields get discouraged and leave the workforce. However, one group is changing that. ARA, an acronym for Attract, Retain and Advance, launched in 2013 in Chicago but started organically about eight years ago as a quarterly dinner between three IT professionals Megan McCann, Jane Gilligan Hamner and Leslie Vickrey, and friends living in Chicago. Over the years, more friends and colleagues started joining in these dinners, offering insights, tips and career advice. Pretty soon, these "small dinners with friends" blossomed into major events each quarter and the three women founded ARA. 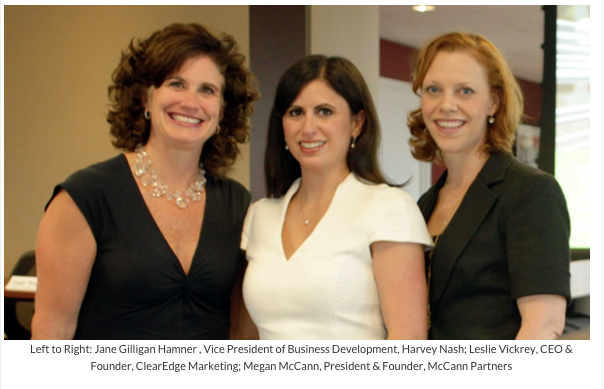 "We really couldn't find a program that used mentorship as the cornerstone of the program," said Megan McCann, President and Founder of McCann Partners. "It became apparent to us that there weren't enough resources out there for women in technology, and when you marry that with the talent shortage in IT across the board, we felt it was a natural fit to take our women's networking group to the next level by bringing in the mentorship component." The response has been strong. Women are learning about the group's "speed mentoring" program and networking panels and are signing up in droves. The group currently has 75 mentor partnerships with 15 mentees waiting to find available mentors. ARA Chicago had to move their latest event to a larger venue because so many women signed up. The success stories are also starting to pour in. "At one of our events...a woman stood up and said I am a former Accenture partner and I've been out of the technology market for over eight years raising my children, and now I am ready to go back in. Help me to provide the guidance and the value to these hiring people to know that I am ready to go back in market," said Leslie Vickrey, CEO and Founder of ClearEdge Marketing. "After that event, we reviewed her resume and then positioned her with a CIO for a management level position and through the interview process, she got the position." The mentorship program is not only helping women network with upper-management women in STEM fields and better communicate gaps in their resume, but also providing confidence that may have waned over the years. "That confidence piece is so critical. Little things can strip it away from us and we don't realize the long term impact its going to have on your later in life and in your career," Vickrey said. "It's giving them a little more confidence to take that step forward, and I think it's critical and different in the industry." Women in STEM fields are not the only ones who are noticing ARA's impact. Major companies with senior male executives at the helm, including Orbitz and Salesforce.com, as well as schools and other associations, have also contacted ARA in an effort to add the mentoring component to their programs. "I think one of the reasons why senior male executives have been so supportive of what we're doing, like the CTO of Orbitz is that he, like others, recognize that females bring a perspective to the table and they want those varying perspectives and opinions and insights and it's our job to help attract people to it, retain them and advance them to doing that," said McCann. In partnership with Harvey Nash, which has a national presence, ARA is expanding to Seattle (with its first event scheduled for March) and New York and is looking to national technology associations to partner with, so they can launch ARA in even more markets. "[ARA] is giving people an avenue and venue to actually ask other women in technology personal advice and career advice that will actually encourage them to stay," said Jane Gilligan Hamner, Managing Director and Vice President of Harvey Nash USA. "A lot of it is just having that access and also knowing how to advance in their career. We want to keep them in the industry because there's a lack of talent, but we also want them to feel comfortable advancing in an industry that's traditionally male dominated." By encouraging girls at a young age to explore STEM fields and nurturing women through their careers with groups like ARA, we may actually be able to solve tech's women problem.